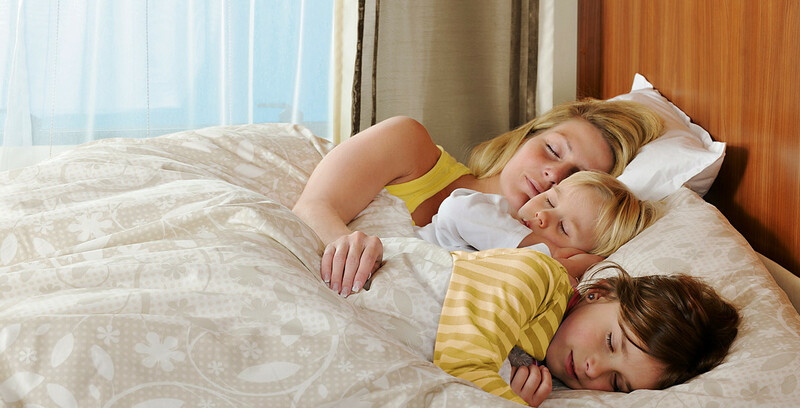 Part of a wonderful holiday is also a healthy and restful sleep. This is the reason why Dethleffs set high value on the perfect sleeping comfort (SleepWell system). Almost all fixed beds* in Dethleffs motorhomes have high-quality cold foam mattresses. In the sprung base we use ergonomic slatted frame system with flexible, natural rubber embedded spring wood slats matching ideally to the contour of the body. Many single beds can have slatted frames with height-adjustable heading section. Please ask your local dealer which slatted frame can be used for your individual vehicle. For highest requirements or backaches we recommend the exclusive 7-zones cold foam mattress with 3D moisture membrane and visco-elastic surface. Due to the high point elasticity and the differing density grades within the zones, the body will be much better supported. The 3D membrane acts like an invisible air conditioning for a dry and healthy sleeping climate.